Official Hunger Games Merchandise is finally here! The good news is that Hot Topic has released a Limited Edition Hunger Games Flaming Mockingjay Shirt that resembles the poster for the new Hunger Games movie (black background shirt with the mockingjay symbol on fire). Even better news is that they are Buy One, Get One Half Off today. The bad news? They are selling quickly and might very well sell out today! I heard from my contact last night that they expected these to sell like crazy online today. They have both men and women versions, and they are sized from XS to 3X. 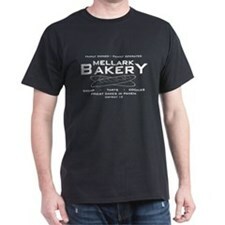 Since these are the first shirts that we have seen for the movie, I have no doubt that they will be incredibly popular. If you are at all interested in these Hunger Games shirts, visit Hot Topic today and get them ordered before they all sell out.